Olivia Penn is a Pulitzer Prize winning reporter for the Washington Post. In the last two years a lot has happened from the disappearance of her best friend Stacy after a night out, to her son Patrick being still born. With the help of a friend within the police force Olivia is on the case of some high profile suicides, all of whom left behind a suicide note with a very common line; "I deserve to die", leading Olivia to believe these aren't suicides and the want to break the story. However the more Olivia delves into the story, the closer she comes to the truth and her own demise. I have to admit to really enjoyed this book, I found from the first page it was hard to put down (and actually managed to finish it in days, which of late has been a huge struggle for me). I wanted to keep reading and delving deeper into the story, what would happen next - were my theories right or wrong? While the story hinted at a certain person being 'The Punisher' I did have other ideas early on, so I really had to keep reading to find out if I was right. 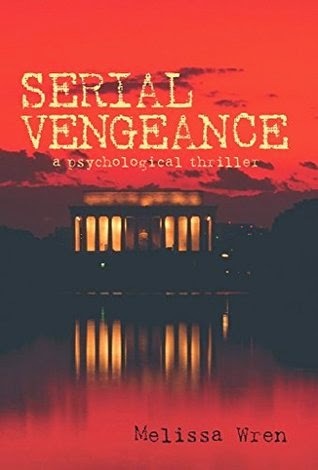 Quite a dark, psychological thriller - I would suggest this book to anyone who loves such genres as I think, like me - you will find it hard to put down, once you pick it up. Goodreads / Amazon *I received a copy free of charge for review **Post may contain affiliate links.